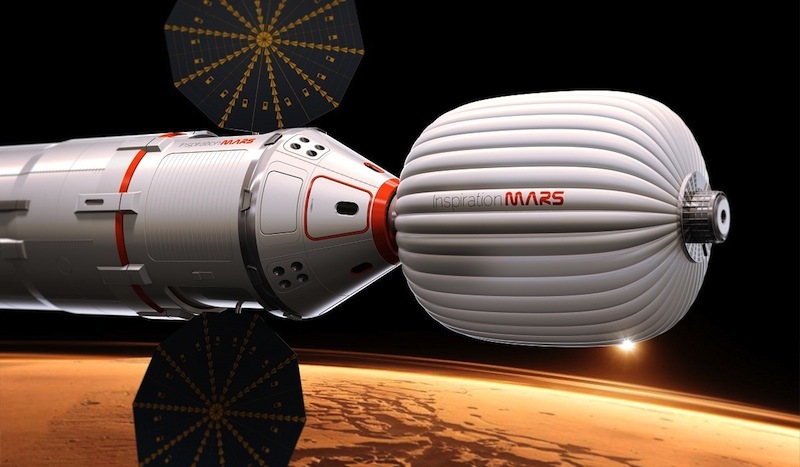 Millionaire and former space tourist Dennis Tito on Wednesday revealed details of his ambitious plan to send a manned spacecraft to Mars in January, 2018. Tito told a media gathering in Washington that the 501-day mission, dubbed Inspiration Mars, a mission for America, is likely to involve a two-person crew comprising a man and a woman. He said that ideally the pair would be a married, middle-aged couple, adding that the space travelers could be selected within the next year. There had been some speculation as to whether Tito himself would take part in the Red Planet mission, but he ruled himself out. He will, after all, be 77 in 2018 so his decision to oversee the mission from terra firma won’t come as a surprise to too many observers. “I will not be one of the crew members,” Tito confirmed on Wednesday. “And if I were 30 years younger, I still would not be.” Twelve years ago, the former rocket engineer became the first paying passenger to visit the International Space Station, with the round-trip ticket costing him $20 million. Jane Poynter, a member of the Paragon space development team that’s helping to organize the mission, said it’s important to have a male and female on board as “they reflect humanity” and could inspire future generations to take an interest in science. The team said if the couple had been together a long time and were in a stable relationship there was a better chance they’d be able to provide each other with the necessary emotional support as they watched Earth getting further and further away. “If that’s not scary, I don’t know what is,” the team commented. Asked of the likelihood of the couple joining the million-miles-high club, a Paragon official said, “It’s a man and wife. Private time. Let your imagination run wild.” It was made clear that the couple should be beyond child-bearing years, so there’ll be no chance of them returning to Earth with a Martian baby. If all goes to plan, the spacecraft – a modified SpaceX Dragon capsule taken up on a Falcon Heavy rocket – will launch from Moffitt Field at NASA’s Ames facility in California. It won’t land on the Red Planet, but will get pretty close, to within 100 miles of its surface. “If something goes wrong, there’s no chance of coming back….and we’re going to re-enter at record speeds, 14.2 kilometers per second.” Apparently they haven’t quite worked out how they’re going to do that yet, for speeds like that will put untold stress on the returning module.